At Lowell Animal Hospital we have spent decades educating people about the benefits of dog vaccinations. This includes what vaccines are necessary and how they should be scheduled. Over the years we have been asked every question possible about dog vaccinations and we have compiled some of the most frequently asked ones for you here. This is only meant to be a general introduction dog vaccinations. At your dog's next visit, we will be happy to help you understand the vaccination recommendations for your dog. Although these vaccines are not considered Core, they are very important for most dogs who may be exposed to these infectious diseases. At your dog's next visit, we will be happy to review which of the above make the most sense for your dog and make the appropriate recommendations. Rabies vaccinations are required by law in most states, including IN. Owners must periodically have their dogs and puppies vaccinated against rabies, but the specific time frames for puppy vaccinations and dog vaccinations vary by state. In IN, puppy rabies vaccine is generally given at 16 weeks ( no earlier than week 15), and the rabies vaccination is good for one year. For adult dogs, the rabies vaccination is good for three years and should be addressed at the time of the first visit for new patients. For example, a puppy would receive the rabies vaccine at 16 weeks, 1 year and then again at age 4. Therefore, it is very important for us to discuss the vaccination protocol that's right for your canine companion at your next visit. 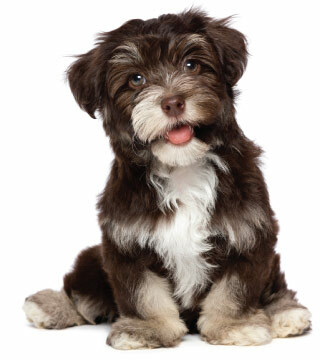 **Some puppies may need additional vaccinations against parvovirus after 15 weeks of age. Consult with the veterinarian at your next visit. As with any other immunization protocol, a dog vaccination schedule should be adhered to without deviation, in order to ensure your canine companion remains healthy, happy and well for the duration of his or her life. Stop in for your canine companion to receive their vaccinations today.